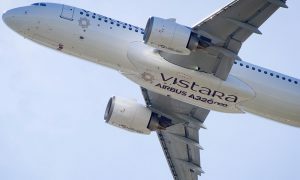 Vistara announced a formal partnership agreement with Japan Airlines and the appointment of Air System Inc. as its General Sales Agent (GSA) in Japan. 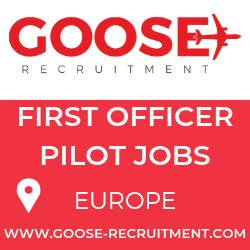 Coming soon after the appointment of a GSA for the GCC and establishment of an offline office in Dubai, these moves mark Vistara’s foray into another major international market. As India’s fastest growing full service carrier, Vistara offers the discerning leisure and business travellers from Japan a new flying experience within India, at par with the finest international standards offered by partner, JAL. The establishment of a presence in the Japanese market reaffirms Vistara’s focused growth plans to expand its customer base and widen its presence across international markets. In line with the rapid growth of India’s economy and strengthened relations between the two countries, air travel demand between Japan and India has also been growing strongly. 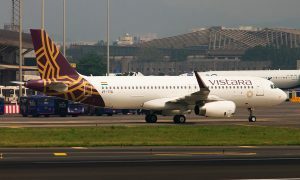 With JAL operating daily nonstop services between Tokyo (Narita) and Delhi, Vistara’s hub in Delhi IGI Terminal 3 offers JAL customers seamless connectivity to and from its network of 11 cities across India. 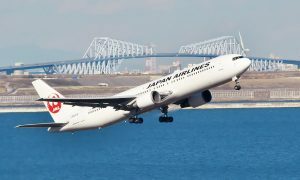 With this agreement, JAL customers can initially avail the convenience of purchasing one ticket in Japan or India for combined itineraries on JAL and Vistara, and enjoy the fully international baggage allowances on Vistara’s domestic services in India. Future enhancements could include inter-airline through check-in facilities, lounge access and codesharing. Further underlining its commitment to serve travellers from Japan, Vistara has also appointed Air System Inc. (ASI) as its General Sales Agent (GSA) in Japan. One of Japan’s most reputed GSAs with a successful track record of over 30 years, ASI will help expand Vistara’s presence in the Japanese market by providing reservations, ticketing and sales services directly in the country. In September 2015, Vistara appointed Sharaf Travels LLC as its GSA for the GCC and opened its first overseas sales office in Dubai. Sharaf Travels now represents Vistara in the GCC territories of UAE, Oman, Qatar, Bahrain, Saudi Arabia and Kuwait. In a short span of nine months, Vistara has rapidly expanded its services with 293 weekly frequencies across 12 destinations in India, including Delhi, Mumbai, Bengaluru, Hyderabad, Pune, Ahmedabad, Lucknow, Goa, Guwahati, Bagdogra, Bhubaneswar and Varanasi (w.e.f. 21st Oct). Having flown more than 700,000 customers since its maiden flight, Vistara stands tall on its promise of providing personalised and seamless travel experience, delivered with intuitive thoughtfulness. Vistara’s on-time performance (OTP), which is consistently one of the highest in the industry ever since its launch, is yet another reason for time conscious travellers to choose Vistara. The coming months will witness the opening of Vistara’s signature lounge at T3 IGI Airport, addition of new aircraft, scaled up frequencies to existing destinations and introduction of the revolutionizing in-flight entertainment (IFE) system which wirelessly streams preloaded content to customers’ personal electronic devices.